Poker is in high gear in July as the WSOP heats up in Vegas and online poker tournaments are seeing some of the largest participants of the year. Yesterday’s PokerStars Sunday Million saw an impressive number of participants at 7,131 which actually beat the number of players at the Main Event in Vegas (6,832). According to the PokerStars blog, this event paid out 1017 places as BadBeatKid_2 from the great state of Oregon, was crowned the champion and pocketed just over $177,000 for the first place finish. It was BadBeatKid_2 with the chip lead going into the final table and BadBeatKid_2 never looked back. BadBeatKid_2 and PokerSavage1 battled in the biggest pot of the tournament as PokerSavage1′s pocket 9′s beat BadBeatKid_2′s pocket 6′s and at this point towards the end of the tournament, PokerSavage1 actually had the chip lead. After Racin77db was knocked out, the final table was between BadBeatKid_2 and PokerSavage1. On the final hand of this long final table, PokerSavage1 shoved all his 29 Million chips into the center of the table, re-raising the aggressive BadBeatKid_2. The board did not help PokerSavage1 at all as the preflop advantage continued for BadBeatKid_2. 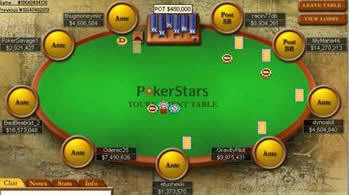 BadBeatKid_2 was crowned the PokerStars Sunday Million champion and took home the top prize of $175,000. If you would like to compete at the PokerStars Sunday Million, simply sign up for a new PokerStars account using our PokerStars Marketing Code and enter the Sunday Million for $215 each Sunday night. 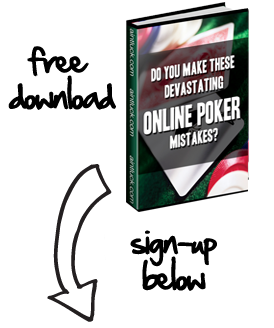 It is indeed one of the largest weekly guaranteed tournaments on the Internet.